This is a great promotion you won’t find everywhere: 888poker offers the readers of poker-apps.net the chance to win up to $100.000 in the second edition of the Jackpotland promotion. From now until December 24th 2017, real money poker players at 888poker can spin the wheel every day and win great prizes. Continue reading and find out more about this great promotion. The Eclipse XL tournament series has finished. 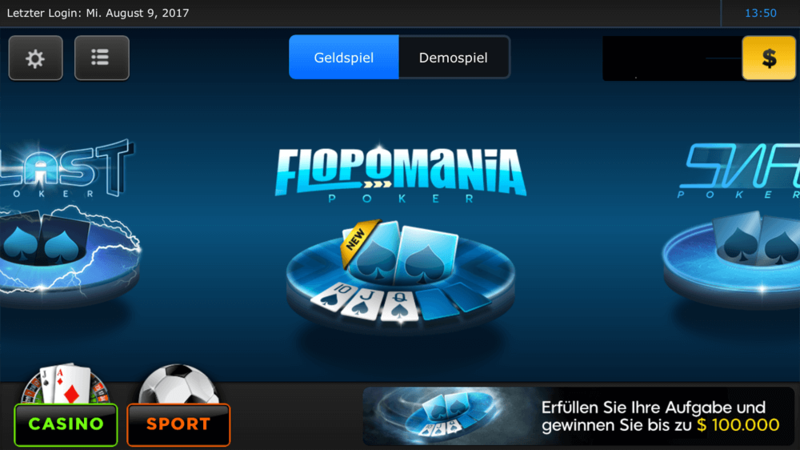 The German player “CllsDntMttr” won the main event for a prize money of $273.000 – not too bad for an online tournament. Quick and less boring games with more and more action – this trend in online poker has been around for a while now. Every time a poker room launched a new game variant in the last couple of years, it was there to make the game more attractive to recreational players. At the beginning there was Fast Fold Poker. Then the Jackpot Sit & Go games were added. The poker room 888poker has launched a new promotion in June 2017. As usual the team of poker-apps.net taken a close look at the latest promotion at 888, so we’ll tell you if and why this promo is for you. The latest 888promo is called the golden pyramid an runs until July 30th 2017. You can sign up here and take part in the promotion. $1.000.000 in cash and prizes ist waiting for you – so be quick and don’t miss your chance. Even if you’ve already got an account at 888 you can still take part and win your share. The only requirement is that you have made a deposit at least once. To find out all the details, continue reading our news. We received bad news from Iron Poker. The poker room shut down at the End of May totally unexpectedly. This was confirmed to poker-apps.net by a Playtech employee. 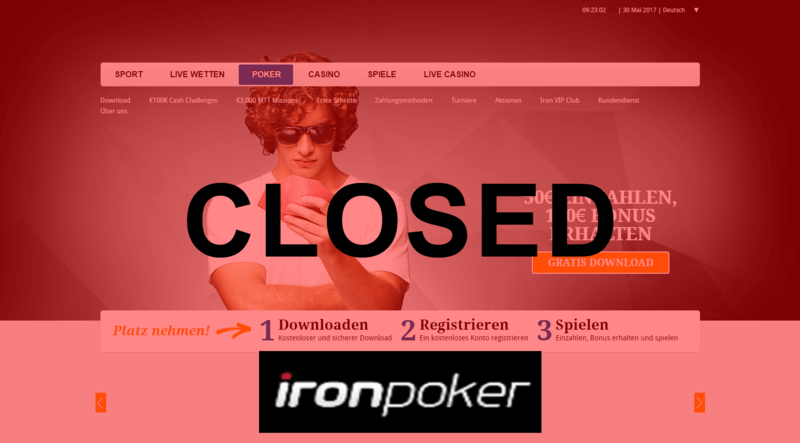 On 26 May, Iron Poker customers had received a cryptic email with the subject line “Important customer account information”. In the email, it was said that Iron Bet had closed. Keep reading to find out about the next steps and about alternatives to Iron Poker. Up until early-June the poker room 888 runs a promotion for new and existing players. The campaign called “Las Vegas 2017″ gives poker players the chance to win one of five WSOP packages worth $12.500 each. Every new player gets $88/£20 free and a free spin at the wheel of fortune on top. Simply sign up at here. 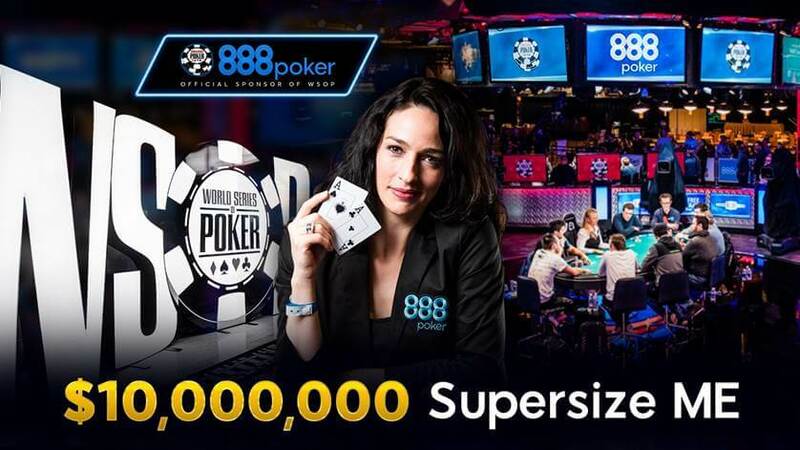 Continue reading to learn more about the promotion and how to take part as an existing 888poker customer. The second largest poker room of the world has started a short term promo for all new and existing players: The 888poker $100,000 Meteor is on its way to earth and will hit the ground on 03/05/17. 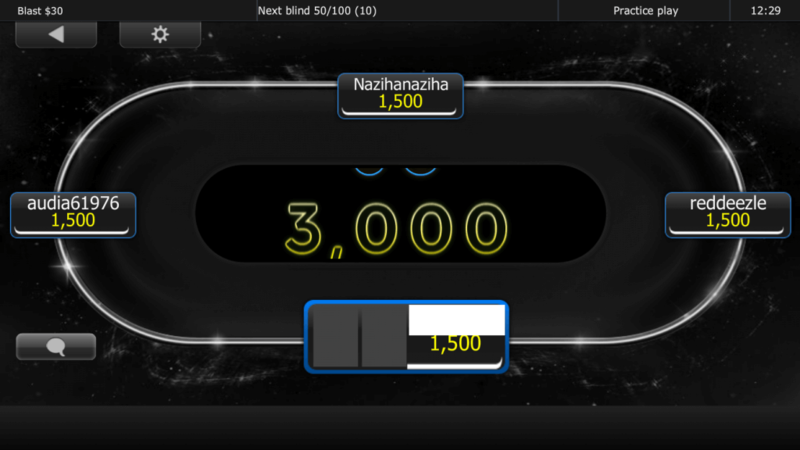 A massive $100.000 will be split up between the lucky winners of this freeroll promotion. You can take part for free. Check out our news and find out how. 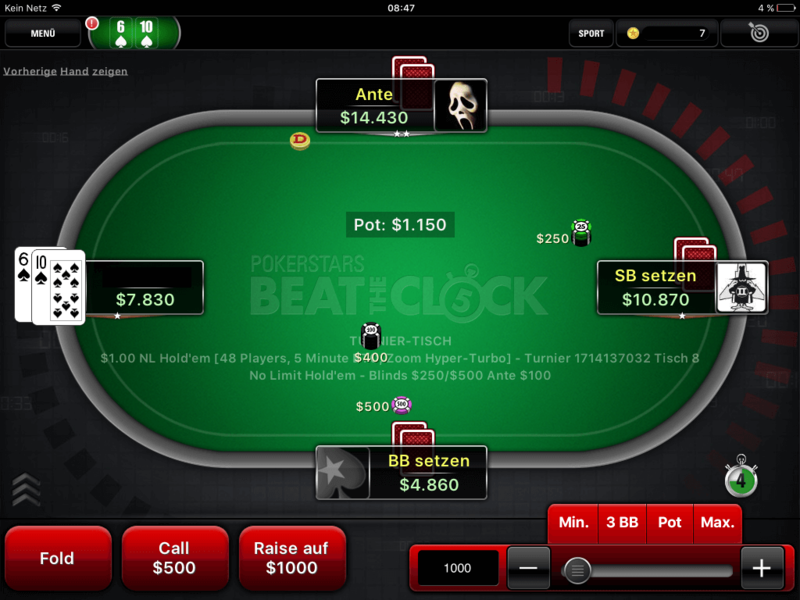 From now until the end of February, poker players at bet365 can win freeroll tickets when beeing dealt pocket pairs. The promotion bet365 Premium Pairs comes with a guaranteed price pool of more than €80.000. Freerolls take place every day. Continue reading to find out all the details about this promotion. You love classic cash games? 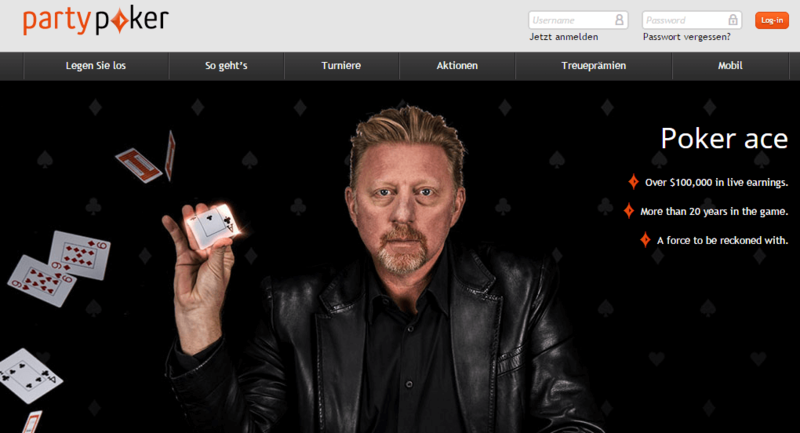 Then the bwin Poker Cash Game Challenge is perfect for you. At the cash game tables (including casual cash game) you can make a bonus of up to $40 – every week! Are you curious? Then keep reading and get more information on how the Cash Game Challenge works and how to participate.